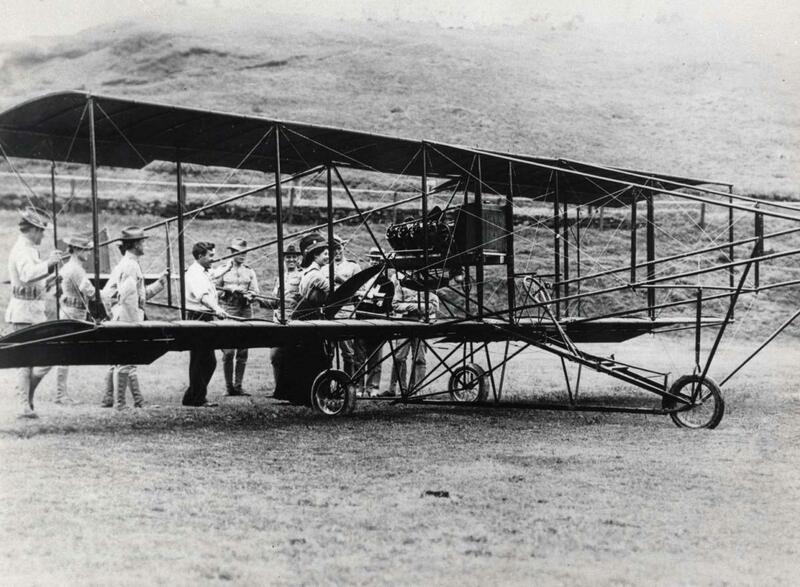 The Curtiss B-18 biplane made of spruce, ash, bamboo, steel tubing and silk was piloted by J. C. Bud Mars. 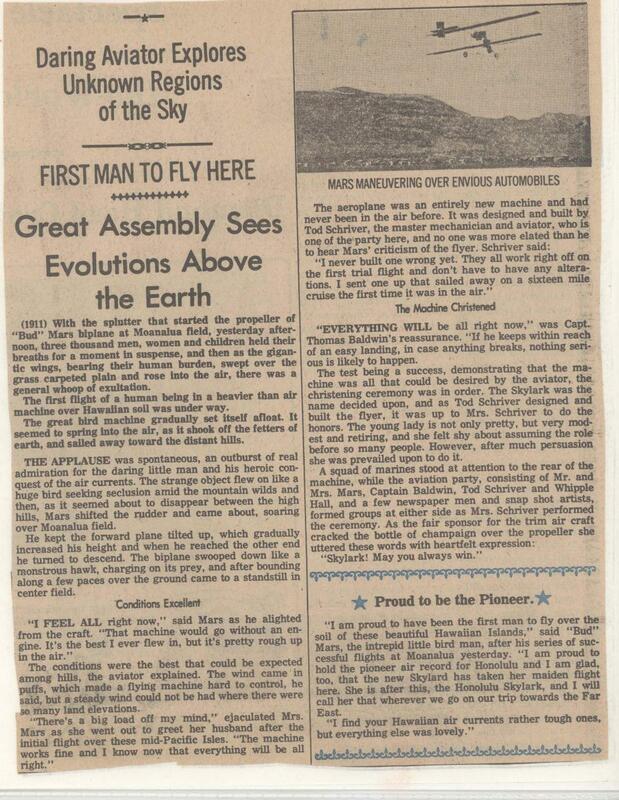 Mars took nine seconds to get airborne and climbed to 500 ft before landing safely. 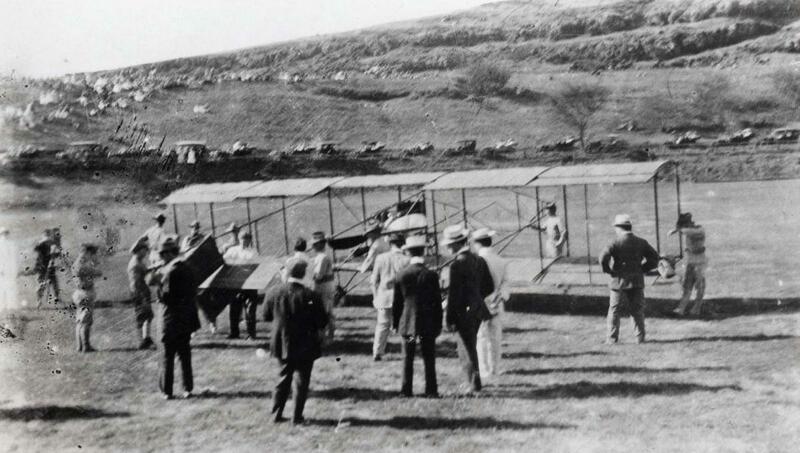 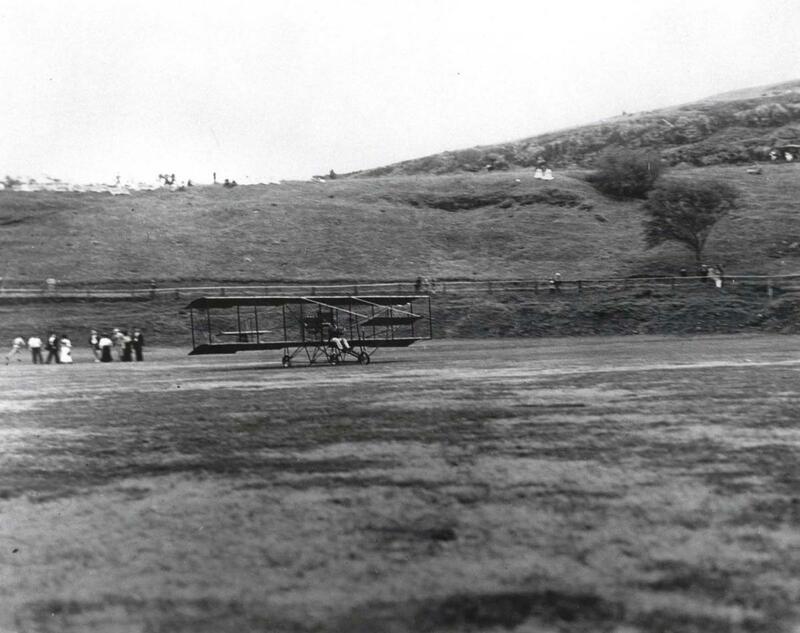 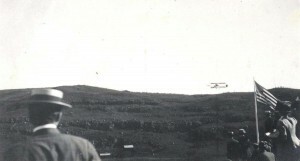 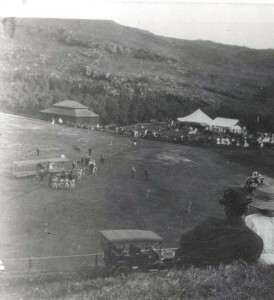 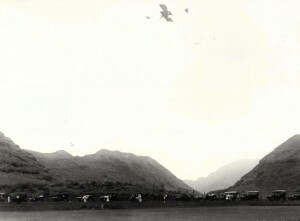 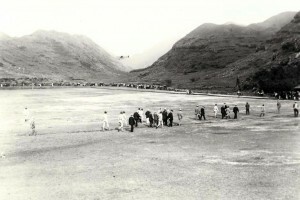 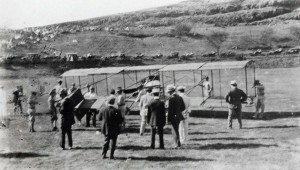 Bud Mars' biplane on the grass at Moanalua Field where approximately 3,000 people witnessed the first flight of a heavier than air machine over Hawaii soil. 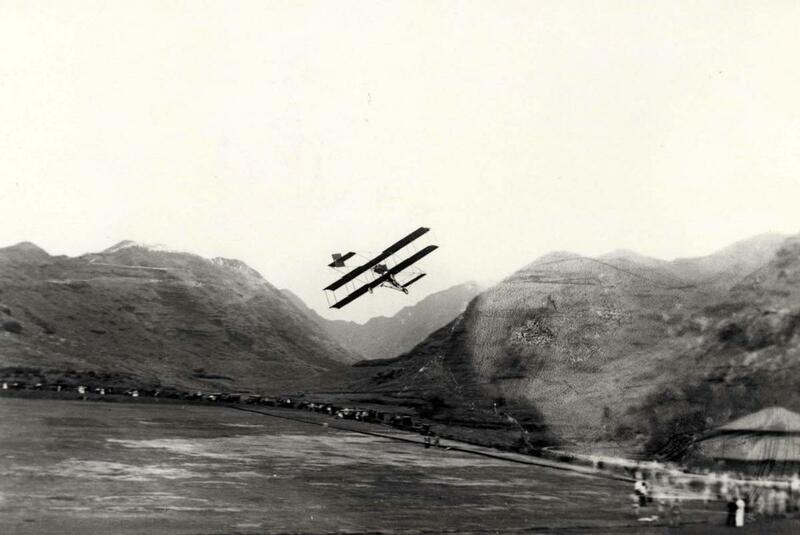 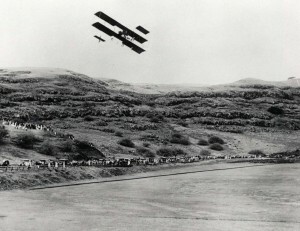 As the biplane with its gigantic wings swept over the grass field and rose into the air there was a general whoop of exultation and spontaneous applause from spectators. JC Bud Mars' biplane on his history making flight was an entirely new machine which had never been in the air before. 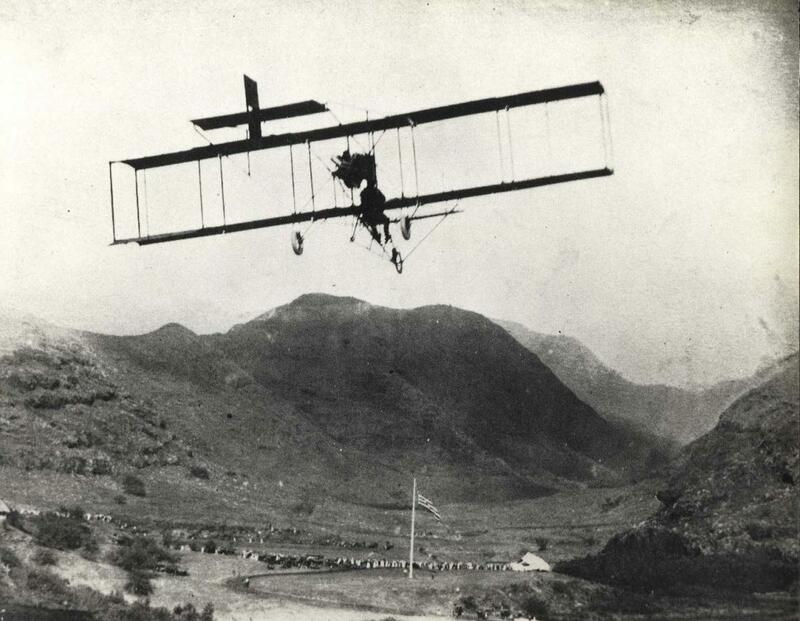 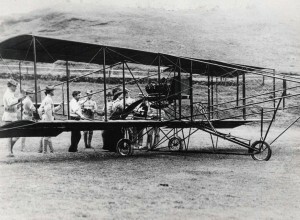 It was christened Skylark after its maiden flight. Mars was disgusted that so many viewed his flight without paying. 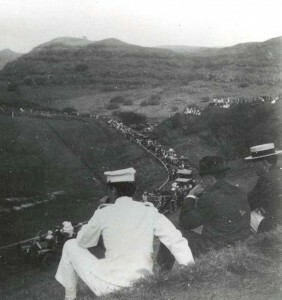 He left the islands in early January 1911 for Asia, discouraged that he hadn't covered his costs. "I find your Hawaiian air currents rather tough ones, but everything else was lovely." 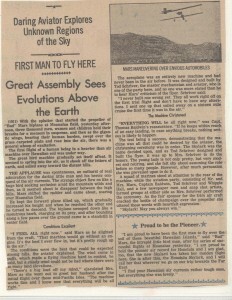 Honolulu Advertiser January 1, 1911. 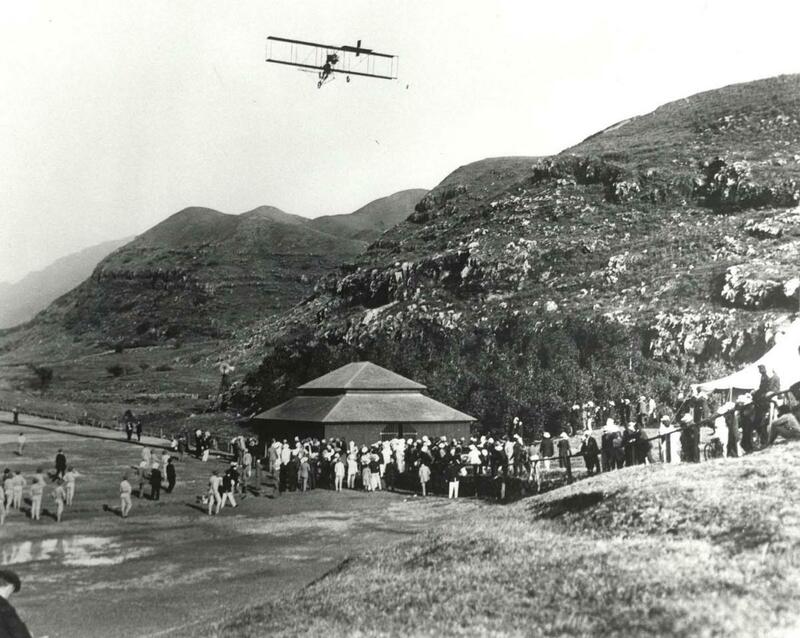 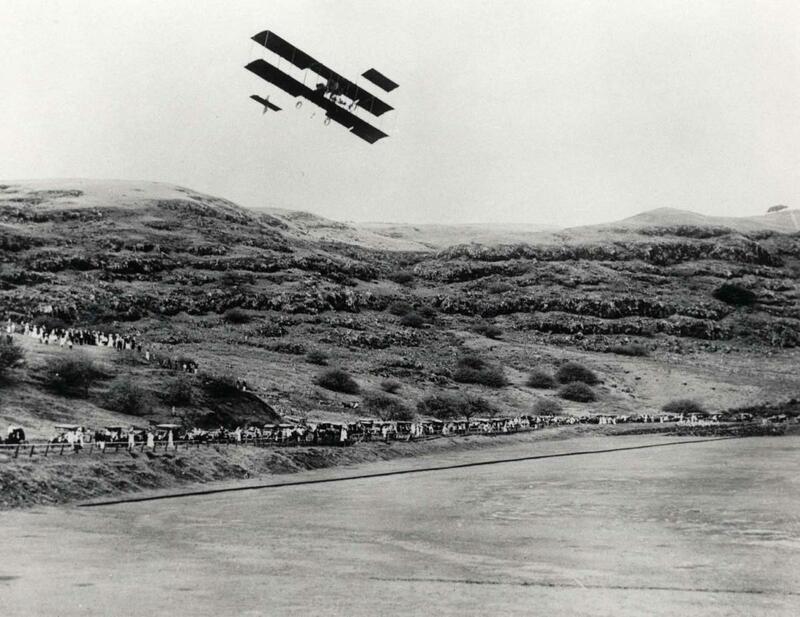 Paying customers watch as J. C. Bud Mars makes the first airplane flight in Hawaii on December 31, 1910. 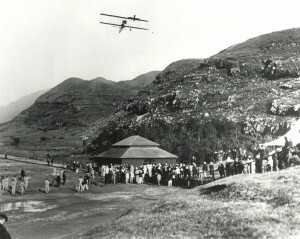 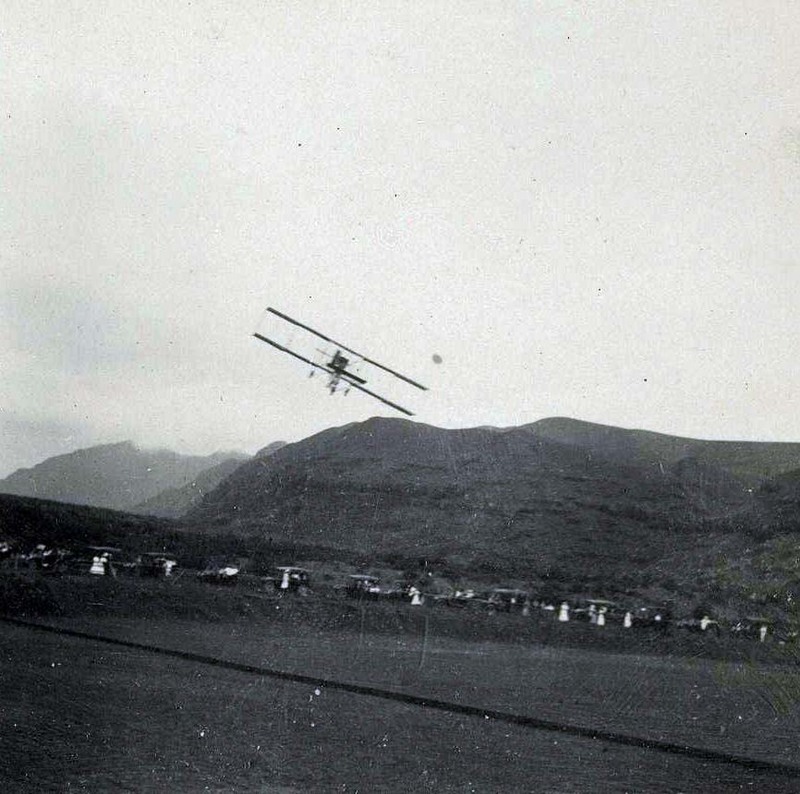 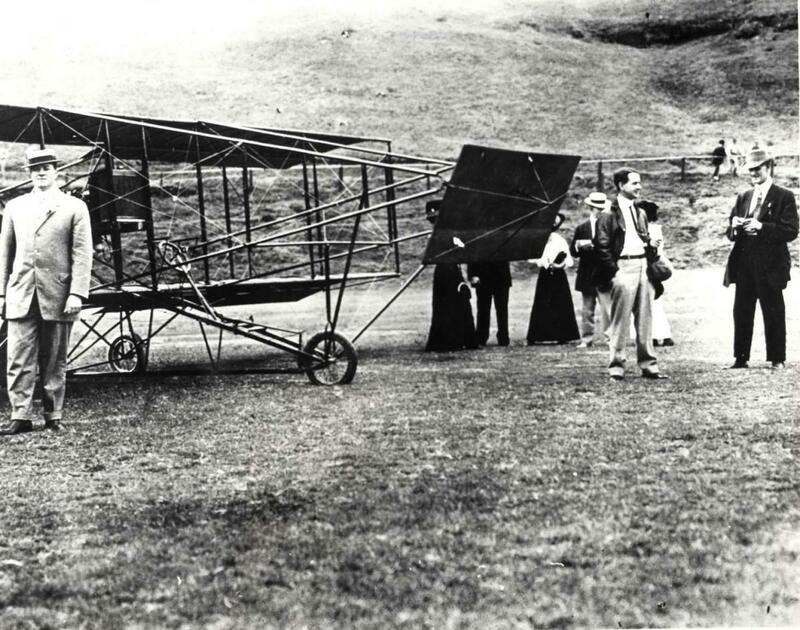 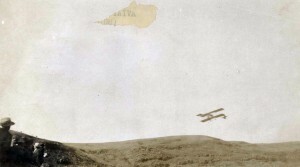 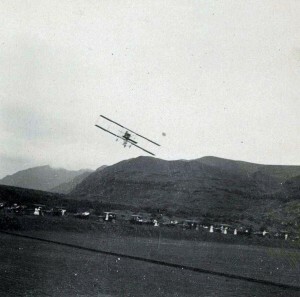 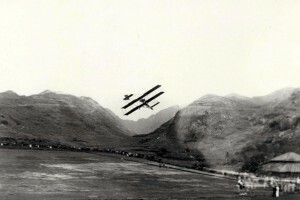 J. C. Bud Mars making first flight in Hawaii December 31, 1910 in Honolulu (Moanalua). 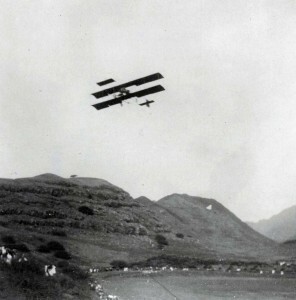 J. C. Bud Mars makes the first flight in Hawaii December 31, 1910 in Honolulu (Moanalua).